Nearly every inmate in the high-risk unit at Denver’s Downtown Detention Center has a traumatic brain injury (TBI), according to the findings of a recently released study from the University of Denver. 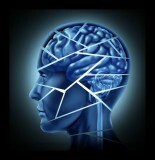 In fact, while national statistics show that the incidence of TBI among inmates in the U.S. ranges from about 67 to 80 percent (and that the incidence of TBI among the general U.S. population is about 6 to 8.5 percent), the rate of TBI among the inmates housed in Denver jail’s high-risk unit is about 96 percent. This study, which has taken about two years to complete, started off as a learning project for post-graduate psychology students. As their work started to reveal the prevalence of TBI among inmates in the high-risk unit, their study has shifted to become part of a bigger, new therapy program that is making its way through jails across the Front Range. A recent study has found that most of those incarcerated in Denver jail’s high-risk unit are inmates with TBI. Here’s why this finding is significant. Contact us for the best criminal defense. Experienced problems with memory and/or making decisions. More than 90 percent of these inmates also had mental illnesses and/or substance abuse problems. Every one of the inmates screened had criminal histories. This combination of factors – TBI, mental illness, substance abuse and criminal history – essentially means that these high-risk inmates have the four primary factors that make staying out of jail (and being law-abiding, productive citizens) extremely difficult. Teaching guards better ways to deal with inmates with TBI (as these inmates may act out of misunderstanding, rather than defiance, in many cases). Researchers will be bringing their training program for inmates with TBI to 13 other jails – including Boulder County Jail, Larimer County Jail and some juvenile correctional facilities – in the coming years. As the program is more widely implemented, researchers will continue to track its effectiveness in helping inmates and deterring future criminal activity/recidivism.